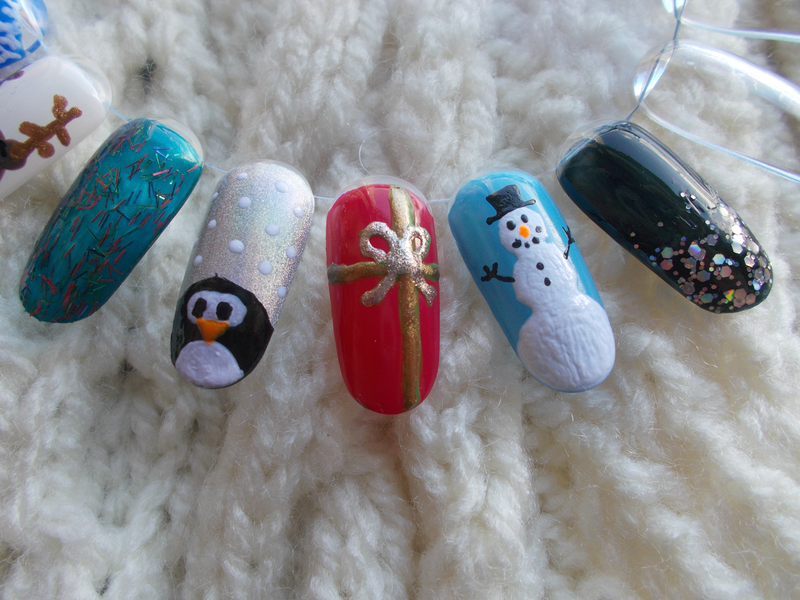 Today I wanted to share with you a combination of two of my favourite things - Christmas & nail art! A little while ago, I bought some nail wheels on Amazon. I really want to do more nail art posts but my short nails aren't always the best for photos! Plus, this way I get to keep my creations for more than a weekend as my school doesn't allow nail polish. Here are eight different designs, varying from super easy to relatively easy as a bit of inspiration for you! On the very left I wanted to try out a fairisle type design with the pink and beside that a snowflake pattern. All you'd need for these is a base colour and a white nail art pen! The little characters are cute aren't they? They probably took the most effort but actually aren't too difficult and are worth giving a go. The background of the penguin one is a gorgeous wee holographic from GOSH to which I added white dots for a snowy effect. Remember, you can always adapt these to the polishes you own! Barry M always bring out amazing topcoats and what you can see on the farthest left nail is one of last years on top of Model Own's Peacock Green. The present bow isn't the best I know, but nail wheels were made for practicing! On the other side, I am really pleased with how the glitter tipped one turned out! This is the type of mani that can be brought out any time of the year but I wanted to include some tamer options. And if you can't get out the glitter at Christmas then when can you? This one in particular is from Makeup Rumours and you can see the post I hauled it in here. I think I'm gonna go for something like this on Christmas day! 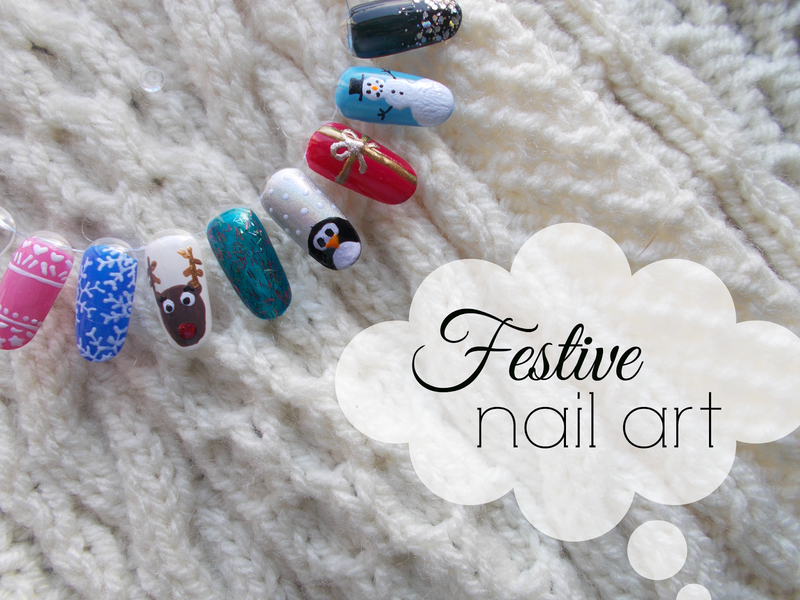 I hope this post gave you some inspiration for some festive nail art! Let me know if you'd like to see more nail posts from me and I'll get onto that ASAP. 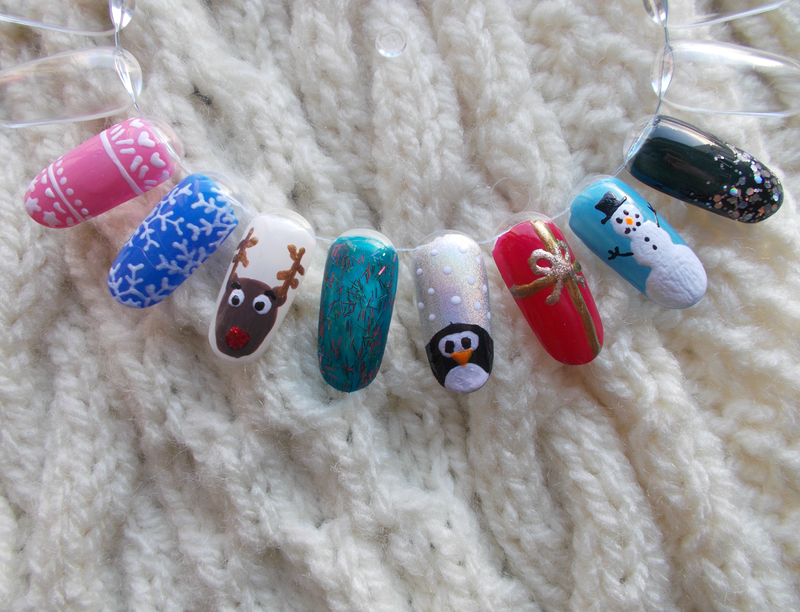 What's gonna be on your nails this Christmas?